Am I protecting the property for the long term? Is it important that it is properly protected against termite damage? Is the safety of my family (or customers and employees for commercial establishments) important while protecting my house (or building)? If you answered “yes” to the above questions, you need to look beyond price when hiring an anay or termite exterminator. Why? 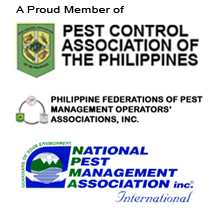 Because not all pest control companies are equal. How do you put value to experience? trainings and certifications? proper equipment, state-of-the-art products and technologies? excellent customer service? What are you willing to pay for reliability, for peace of mind? and for your personal safety and those around you? Because we at Bio-Tech Environmental Services are in it for the long-term, you can count on us to do what is right… to earn your trust, just like how we earned the trust of our over a thousand satisfied customers. Call us at (02) 638-2566 or use the contact form to find out more. By the way, by answering “yes” above, it also goes without saying that DIY is not an option. Learn why doing it yourself will cost you more in termite control.